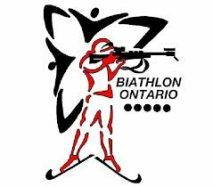 From time to time, Biathlon Ontario and Biathlon Canada advertise paid and volunteer positions for coaches, training opportunities, as well as other news and events that may be of interest to biathlon coaches. Planning to host a NCCP Workshop or coaching conference?If so — take advantage of funding made available through Investors Group and the CAC! Grants range from $600 – $1,200, and all you need to do is apply! A limited number of grants are available, so click here for more information and apply today! Competitive Level — for coaches who wish to work with athletes who train and compete on a regular basis including competition introduction, competition development and levels 4-5. Biathlon Targets by Devin Mfg.